The first thing to catch my eye this morning was an article decrying the lack of accuracy of fitness trackers. 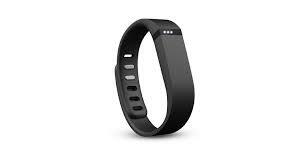 I personally use a Fitbit Flex. Anyone who has one of these devices for any length of time realizes they aren’t perfect. They use gps and some kind of motion sensor to make a good guess as to what you are doing, and how many calories you are burning. Just like the machines at the gym make a good guess at how many calories you are burning. They do serve a purpose, and as long as you aren’t slavishly dependent on them, they do their job. The first thing I noticed is mine underestimates active minutes. I believe that is measured by rapid arm movements, since you wear the device as a wrist band. So when I am bench pressing and doing flys, it doesn’t count. However, I often hit my goals knitting! Since I don’t rely on the device for all of this, it is just a humorous moment. The author was saying the one he tried wasn’t good at tracking his sleep. I track mine, and it seems fairly close. If I have a bad night, it reflects that. A friend of mine has one and says her’s does not do well tracking her sleep. So maybe it works better on some kinds of sleepers than others. So why do I use it if I know it isn’t totally accurate? For the reason the article states. I will take an extra walk to hit my goal. If swinging your arms counts as active minutes, I’ll get up and do some arm exercises. I think that reason alone should keep their popularity up until the technology is perfected. We all need motivation. I would love to hear about it if any of you use trackers. What brand do you use, and how accurate do you think it is? Geocaching and the Fitbit-a Perfect Fit. 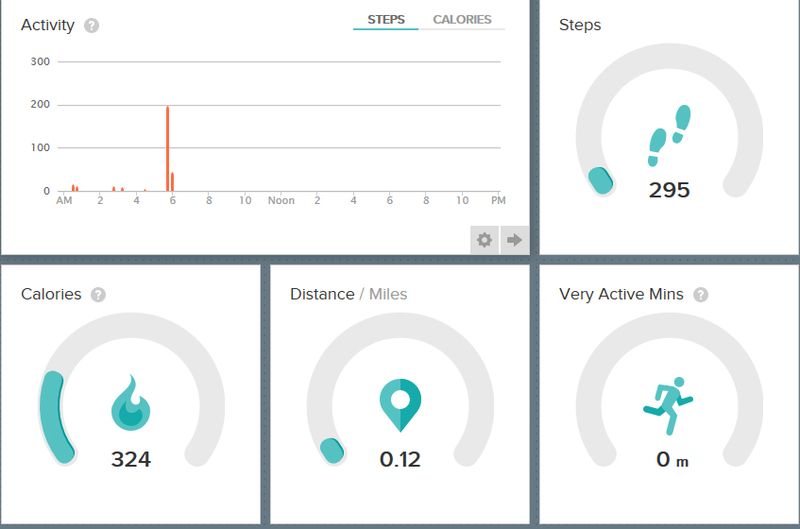 My son recently bought me the Fitbit for Mother’s day. I really love it. It works with MyFitnessPal, so I don’t have to learn some new calorie tracking software, and it does work with others, but I don’t use anything else, so I can”t comment on that. What I will tell you is that having a goal always there in front of you makes you more aware of it and eager to go. If it’s 3:00pm, and I see I’m no where close to my goal of 10,000 steps, I’ll be the one volunteering to run errands. If I do log my eating on MyFitnessPal, and I see I’m at or close to my calorie goal, I’ll turn down desert. Just knowing you have to log something, or in the case of the fitbit, it will automatically be logged for you, will change your behavior. on your phone, you can check how you are doing as the day progresses. 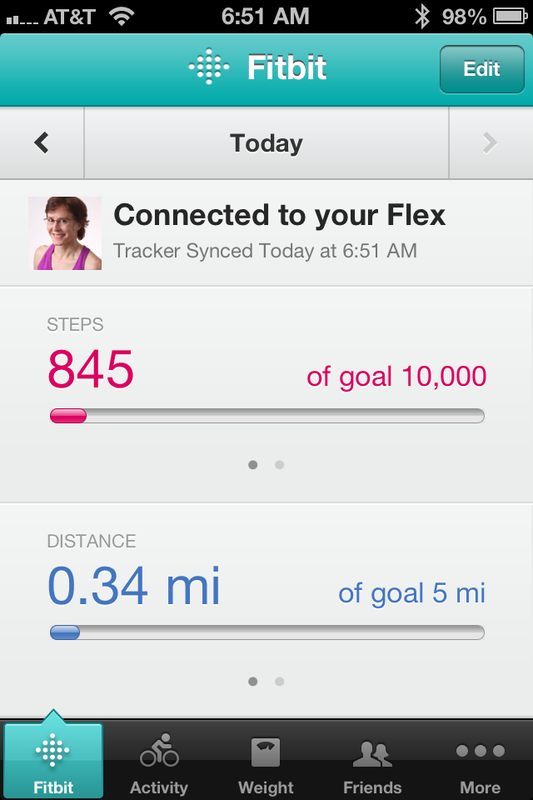 You can track what you are doing on your smart phone, seeing your progress as the day goes on. You can also see it on your computer, which will give you more information. computer screen snapshot, showing the same information as the phone. I do realize all of this can get a bit obsessive, but if you are having trouble losing weight, or just want to see how things really stack up in your life, this is a great tool.For instance, I always tell people if you want to lose weight, don’t eat out. Well, this confirmed it. Every time I ate out, I went way over my calories for the day, and I have it set for maintainence, so if I was trying to lose weight, it would be hopeless. Just to warn you though, it is a bit buggy. It can log your sleep, but I found if I don’t hit “log sleep” on my phone, it is wildly inaccurate. It doesn’t always update quickly, and if you don’t have internet, it can’t work with your phone, even though it is bluetooth enabled. Also, I briefly tried their calorie tracking software, and didn’t like it. That could be just a case of familiarity. I’ve used my fitness pal before and like it. And Geocaching fits in how? So one of the main measures the Fitbit uses is how many steps you take. Geocaching is treasure hunting using either a gps or your phone to find little objects other people hid. Obviously, you have to walk to find them, and so they fit hand in hand. I spent the weekend Geocaching with a friend of mine who taught me about it, and who is an avid geocacher. I wouldn’t post a blog article about it, except that I tried out the phone software and was extremely impressed. In the past, you had to have a gps, which made it a more exclusive pastime. You had decide ahead of time if you liked it enough to buy a device, and then learn the device at the same time you were learning geocaching, making it the kind of hobby you would only get into if someone mentored you, or if you were really determined. Now with the phone version, every one with a smart phone can do it. I downloaded the free trial version and took another friend out. We just tried it on some new local caches. She had my gps, and I had the phone. I would say they worked equally as well. I wanted to show you what the screen shots looked like, but then I realized there was no way to show you without publishing my location blatently! While I’m fond of many of you, that is oversharing on a major scale.